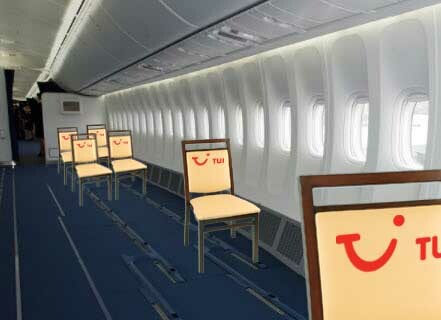 Holiday firm Tui has stolen a march on its rivals by offering low price, long haul flights without seating. A family of four can now afford to fly return from London Gatwick to Barbados for only £69 each, a saving of over £550 on the regular seated price. The company’s web site also lists separately priced, in-flight extras including toilet access (£14.99 per visit), water (£9.99 for a 300ml bottle) and blanket hire (£16.50 per person).